Four clever tech gadgets from Kickstarter and Indiegogo. Hello and welcome to Terrifying Robot Dog! Episode 6 for Friday, May 15, 2015. I'm Jonathan Stark - and I'm Kelli Shaver - and we are here to talk about how technology is changing the way we interact with the world. This week we talk about four clever tech gadgets from Kickstarter and Indiegogo. Would you'd like to support TRD? I thought so! 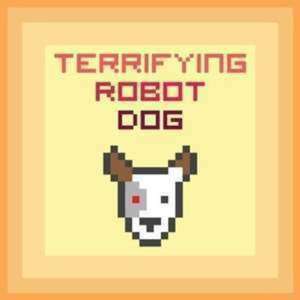 Just think of two friends who would dig the show and send them to terrifyingrobotdog.com for links to itunes, facebook, and rss feeds. Or if you don't have two friends, you can still help us out by leaving a nice review in iTunes. It would mean a lot to Kelli and I. Thanks!